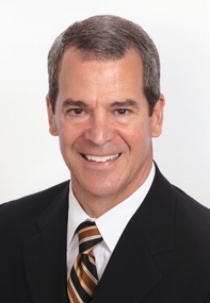 Marc Fooksman – Strategex, Inc.
Marc is a Vice President at Strategex dedicated to our 80/20 practice. He has acquired over 25 years of extensive 80/20 knowledge as well as operations, management, and sales experience. Marc has held a range of professional roles, from General Manager to Group President. Prior to joining Strategex, Marc gained valuable marketing and sales exposure at Ransburg Corporation. He sold engineered solutions for finishing equipment to industrial manufacturing companies in markets such as home appliances, residential windows, and office furniture. When Ransburg was acquired by Illinois Tool Works (ITW), Marc became one of the early adopters of the 80/20 philosophy. He quickly obtained the role of General Manager, and his responsibilities included applying the 80/20 principles to a variety of business environments. Over the next 25 years, Marc assumed increasing responsibilities, serving as a General Manager, VP/GM, and Group President. At one point, he was responsible for 10 business units and over $330 million in revenue. Marc also has considerable experience in acquisitions and divestitures. Most recently, he was the 80/20 Director for Food Equipment Group (FEG), a $2 billion segment within ITW. By applying 80/20 within FEG, Marc's group significantly improved operating income, grew revenue, and reduced working capital requirements. Marc earned a mechanical engineering degree from Purdue University and an MBA from the University of Michigan.